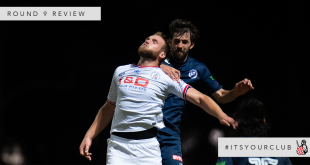 Melbourne Knights’ 2016 PS4 NPL Victoria season is officially over after Melbourne Victory surrendered points and forfeited the previously postponed fixture between the two sides. 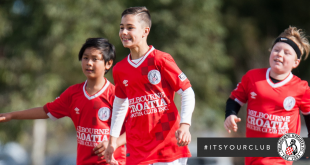 The decision was announced by Football Federation Victoria on Wednesday morning, following consultation between our Club and Melbourne Victory. Throughout the entire process the Club expressed that it did not want the game abandoned and did not want members to miss out on a scheduled home fixture. 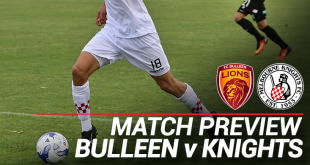 With Victory forfeiting, FFV have now recorded the match as a 3-0 win in the Knights’ favour. The fixture was previously postponed after the status of the game was escalated to “high risk” and required additional security. The high risk status also followed incidents where a brawl broke out involving Melbourne Victory fans at a fixture with South Melbourne FC. 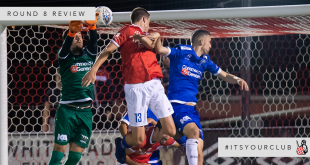 Melbourne Knights FC would like to thank our members and fans for their patience as this debacle has dragged on since the original date of the game, nearly a month ago. On July 28, 2016 Football Federation Victoria announced the decision to postpone the PlayStation 4 NPL Victoria Round 23 match, Melbourne Knights v Melbourne Victory. 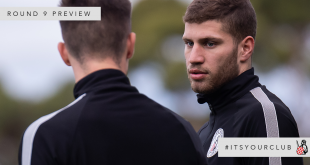 Following consultation with both clubs, FFV has determined the match will not be played and a forfeit result (3-0) be awarded to Melbourne Knights. No further action will be taken regarding the match and FFV will be making no further comment on the matter. Next FEATURE: ‘We are still here! We are ready!’.